Download our monthly all-sky star map and track down those elusive stars and constellations! 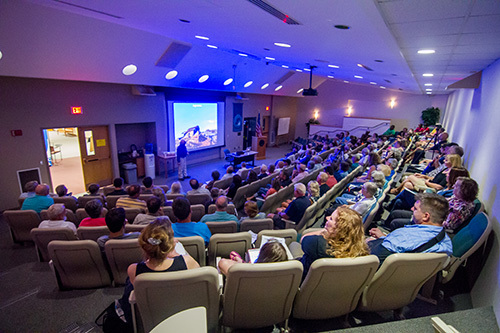 Interested in becoming a member of the oldest and one of the largest astronomy clubs in Michigan? Most meetings are held on the first Friday of every month at the Kalamazoo Area Math & Science Center. The Kalamazoo Astronomical Society is the oldest organization of its kind in Michigan and one of the largest. 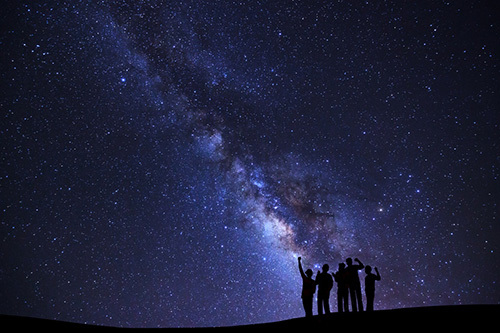 Its purpose is to promote the exchange of information among those with a common interest in all areas of astronomy, to educate the public about astronomical discoveries and events and to cooperate with other amateur and professional astronomical organizations. Our membership consists of people from all walks of life, educational backgrounds and ages. 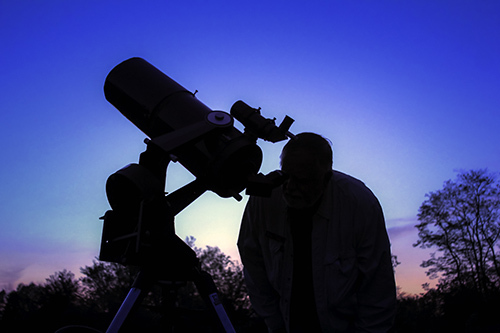 The majority of the membership are novices or armchair astronomers; most don't even own a telescope. Therefore, you don't need any technical knowledge or fancy equipment to be a part of the KAS. Please consider attending a meeting or joining us under a starry sky.